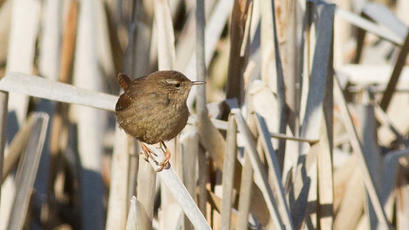 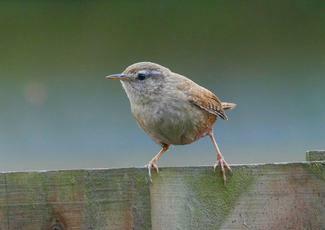 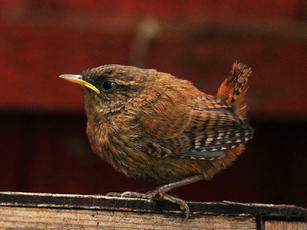 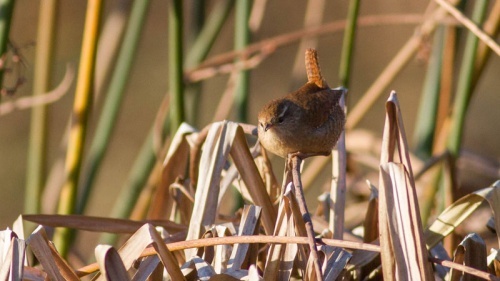 The Wren is our next smallest bird after the Goldcrest and Firecrest. It is dumpy, almost rounded, with a fine bill, very short round wings and a short, narrow tail which is often cocked up vertically. 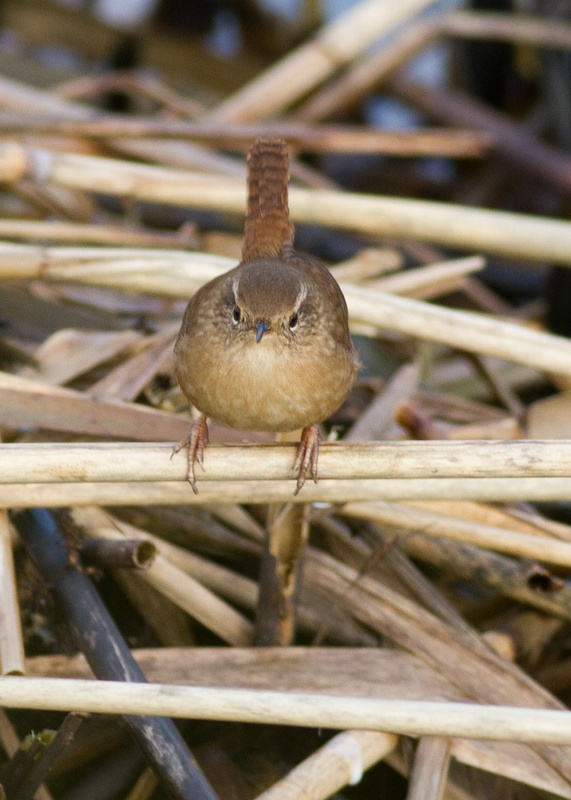 For such a small bird it has a remarkably loud voice. 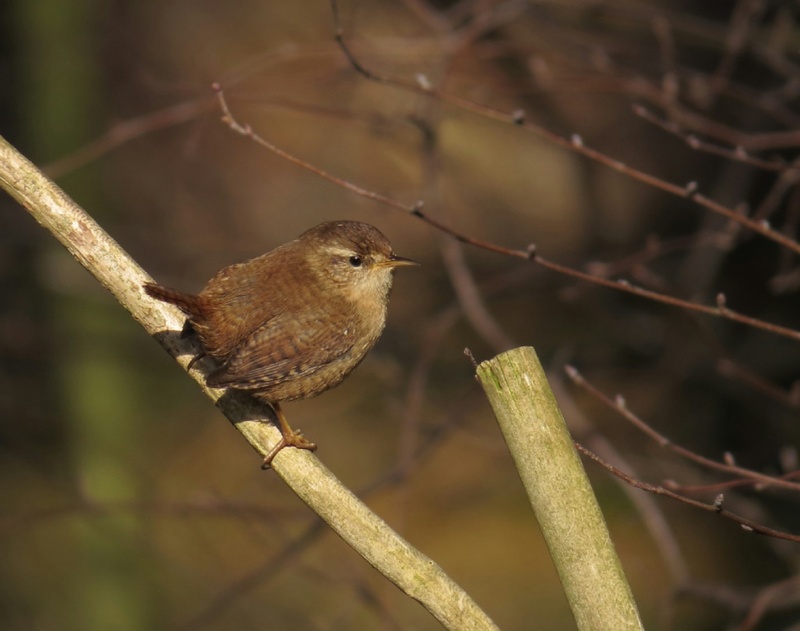 Found across the UK in a wide range of habitats - woodland, farmland, heathland, moorland and islands. 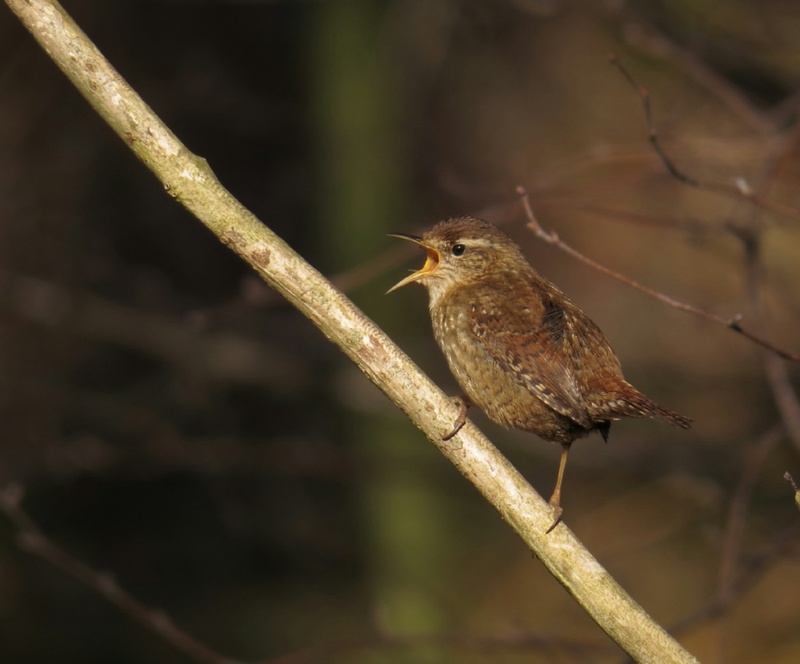 Most are found in deciduous woodland but it is least abundant in Scotland and northern England, with the smallest numbers found in upland areas. 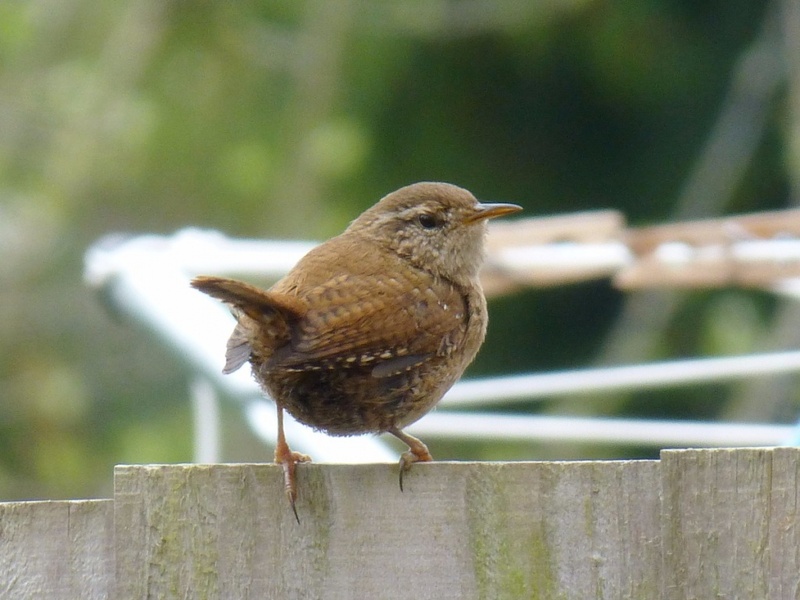 A regular visitor to most gardens. It is an insectivore and can remain in moderately cold and even snowy climates by foraging for insects on substrates such as bark and fallen logs. 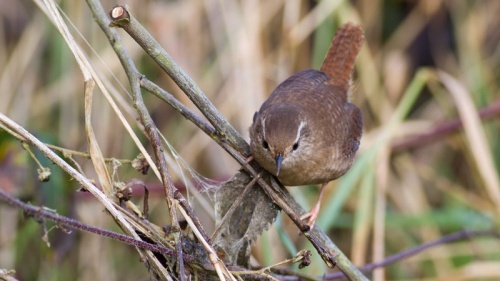 The male Wren builds several nests, up to 6 or 7, but are never lined until the female chooses one to use. It is the commonest UK breeding bird, although it suffers declines during prolonged, severely cold winters. 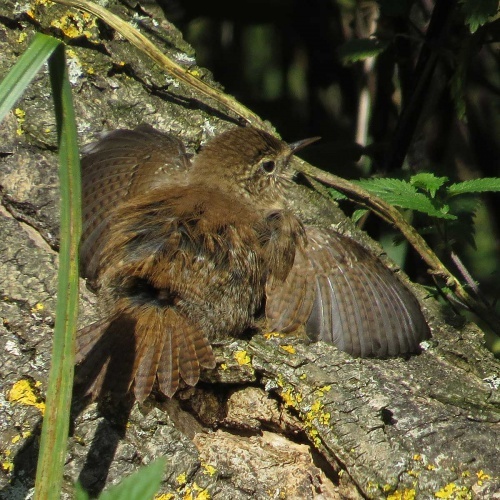 An abundant breeding bird in Leicestershire and Rutland.